La Course by La Vuelta looks set to get the go-ahead reports AS today, all that’s missing is the written permission from the UCI. The race was uncertain because the proposed date, timed to coincide with the Vuelta’s arrival in Madrid, meant a clash with several other women’s races and initially the UCI didn’t want this. The clash remains although the Belgium Tour has shifted by a week. It’s hard not to see this as ASO getting its way, a new race is added to the calendar because it’s got the backing of a big business while smaller races get bumped and will probably see few star riders part. But then again, as much as the Chrono Champenois has been a staple of the calendar, maybe it is worth backing a big race that will be on TV? Also the other event is the lesser-ranked Giro Toscana which has had poor ratings on safety. Anyway, it’s only for one year, hopefully the 2016 calendar can see events spread out, not just avoiding a clash but providing a broader calendar. The existence of a criterium tacked on the end of the Vuelta is itself a token effort. Better a race than none? Probably and hopefully it is a story of momentum which can continue and La Course or other derivatives grow from a criterium into more compelling events. Talking of the calendar, the Tour of Oman starts soon. It’s easy to see Dubai, Qatar and Oman as three homogeneous events but Oman is different, there are no skyscrapers, instead the horizon is dominated by large mountains. 2015 is slotted to be the last edition of the race, certainly the original contracts between the Sultanate make this the last race and I’ve not seen news of a renewal yet. Hopefully next week shows it continues. Is Contador’s Giro-Tour just a bluff? That’s Sky’s David Lopez in Marca via my translation. He’s got a point because aiming for the Giro-Tour double is a big ask and Contador has been sneaky in the past. That said Contador’s bluffs have been more by omission or exclusion, winning the Vuelta after a “broken leg” that was really a very small fissure; winning the Giro after “lying on the beach” when he was still riding his bike regularly. Back in 2010 it was announced he’d slipped on a roundabout in training when, coincidentally, he’d been notified by the UCI over his positive Clenbuterol test. This time we’ll see. There might be a contract with RCS already but otherwise the decision to ride the Giro or skip it doesn’t have to be taken yet. Lopez added that no matter what Contador is upto, Sky are doing their own thing. One thing you can’t decided on at the last minute is a special record attempt on the track. If you plan to make a special attempt then a revised rule means you’ll have to join the UCI’s registered testing pool, submit your Whereabouts and make yourself available for the bio-passport and give the UCI written notification months in advance. If you’re not part of the passport, for example you’re an amateur, then you must meet the cost at your own expense. It tightens up the process and anyone going for the Hour or other similar events have to be part of the long-term testing regime which is all good… but it means that Graeme Obree or another maverick would be excluded. 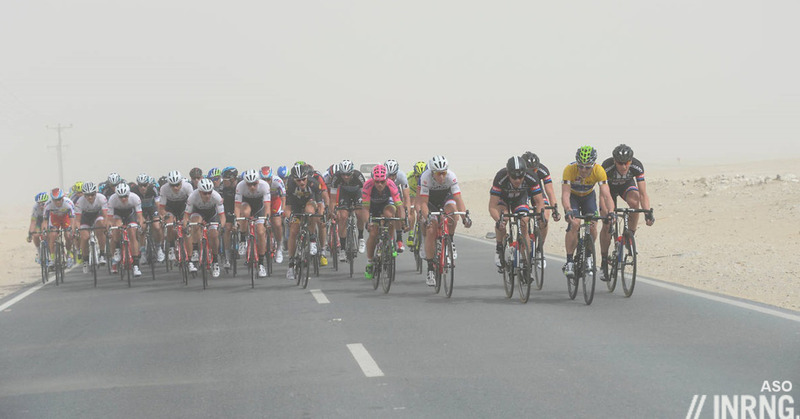 The Tour of Qatar continues, a bike race part-organised by ASO but it looks more like something created by a film director with desolate landscapes and abrasive crosswinds. In some ways it sounds like some of the best racing of the year with riders going on the attack from the start and forcing the peloton to fragment into echelons. But is it promoting Qatar? It might not make you want to visit for a ride but its role is to exist as one of numerous cultural and sporting events on the Qatari calendar, recently there was the Handball world championships, next week they’ll be an orchestra or a travelling art collection. It’s not new, many a ski resort in France borrows the Tour de France for example the same purpose, to ensure there’s a show on the agenda during the summer holidays. Is the Tour of Qatar good prep for the classics? Evidently otherwise the likes of Tom Boonen, Peter Sagan, Fabian Cancellara and others would not be there. But since the race began in 2002 only three winners of the Omloop Het Nieuwsblad race have ridden in Qatar. In other words Qatar has not been an immediate or essential guide to form for the upcoming races, it seems to be more about laying down a foundation for April rather than last minute sharpening. The Flemish video shows an e-bike capable of doing 70km/h. If Flemish isn’t your thing, the middle has English audio in it. However legislation in many countries is designed to prevent e-bikes going this fast otherwise they rival motorcycles and require training and licences. This won’t stop some de-restricting them. Yours for €15,000. Finally thanks to everyone who has bought a supporter cap (if you haven’t, more info here). As you probably know they help keep this blog on the road. I did the sums with Prendas Ciclismo who handle the sales and it’s worked out so well that we’re exploring new ideas. More news soon. Good news on the caps, glad to hear that has gone so well. If Contador does excuse himself from the Giro the excuse is going to look that little bit more flaky now. I’m sure it won’t sway him but Sky can either say told you so or be rubbing their hands at the prospect of a potentially more fatigued Contador depending on how things turn out. Congratulations on the caps! More, on the international support for your time and thought. You deserve the accolades, and the smiles that you help generate every morning around the world. Thank you. Qatar (almost) always delivers! It’s a really great and unique race. No other race offers what Qatar does (World Ports Classic is the closest, but it’s not before the classics nor does it have the same weather). 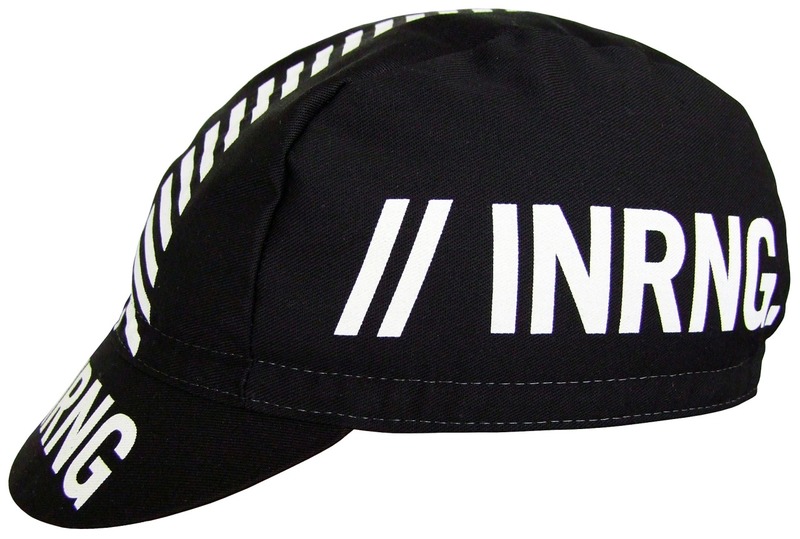 Love the cap, and glad to support the best spot on the internet for getting information on the sport of Pro Cycling. Would love to buy a t-shirt too. I would love to buy a tee-shirt as well! It’s obviously a risk, but maybe one Contador might go for. This year’s Giro has less brutal parcours than other recent additions, and with Porte, Uran and Aru likely to be the other major GC threats, maybe Contador fancies his chances overcoming them more easily than Froome and Nibali at the Tour? Also were he to win the Giro, that effort would provide a handy excuse any time he’s dropped come July, or if he crashes out again. If Contador did skip the Giro I’m not sure he’d be able to try riding it again, surely the Italians would be furious with him. He has a course made for him with less climbing. I read that Matt Bottrill wanted to have a go at the hour record but the UCI said he needed a bio-passport. It’s a shame the cost is so prohibitive to amateurs. It’s a difficult balance. The UCI owns the Hour Record so they want to protect it with assurances on the anti-doping programme but it is restrictive. But with what Rohan Dennis has done it’s hard to imagine any amateur approaching this. As things stand it’s hard to imagine Thomas Dekker doing much beyond challenging the Dutch hour record, yet alone an amateur. But if an amateur thinks they can do it then the cost might be worthwhile, they’d turn so many heads and probably land a pro contract that it could be worth paying. The current record is still just within Bottrill’s capability. It’s the other way round as I think Matt would have prevented many pros from making attempts. Not everyone wants the life of a pro cyclist, but that should not mean one has to be excluded from demonstrating the (legal) limits of their cycling ability. The UCI are more about protecting the publicity value of the record than its athletic integrity. I thought it was a shame there wasn’t a way UK Sport (or some other body) couldn’t have helped Bottrill with the costs of being on the passport scheme (assuming he wanted to though). He isn’t the bog standard amateur, and has come third I think in the national time trial a couple of years ago behind Dowsett and Thomas but ahead of other pros, plus won numerous time trialling competitions on the UK circuit. He isn’t a ‘pro’, isn’t on a full-time sponsor contract or lottery-funded : he works as a postman. But on the other hand, if some previously unheard-of amateur from a country with a dodgy reputation (let’s pick Kazakhstan as an example, with the number of +ves the Astana B-team had last year…) turned-up and smashed the record, what would we think of that, and what would it do to the credibility of The Hour ? Socks. Black and white. 10cm. I always look forward to seeing what’s new on The Inner Ring. Yeah, socks, please! I am really missing them to wear with the great cap! oops. That was my +1 up there. Well deserved support with the caps. This sight is a bastion of the best insight and respectful commentary. To me, Contador comes across genuine in his giro-tour goal. Maybe it’s the tension in his face appreciating the difficulty in the achievement. It feels like he wants to do something truly extraordinary, give it the “thank you. good night! !” salute and walk. Even though I believe he has several more years of meaningful competition left in him a la Valverde who’s mind has seemingly taken his body to another level of zen confidence and maturity. And while Sky and Brailsford have a history of dropping little mind-game comments, which I love, careful giving Contador any additional fuel for the fire. The whole team has seemed to come across committed to this and respecting the challenge. Agree totally on Contador and on the maturity of Valverde. Contador has the imagination and the desire to do something unique. That’s probably the reason why he has more than 800.00 Followers on Twitter? Please set up a simple DONATE scheme in addition to your expanded merchandise scheme, I don’t really want or need any more stuff. You left out Il Pistolero’s most famous..er..well…….whatever it was…the tainted beef claim. But I’m hoping he really does try the double…after all BigMig did it a couple of times! piloted by spoiled kids that can be a big problem. More than a few times these have cracked-up at speeds higher than they were ever designed to go, injuring or killing their young (often inebriated) occupants. Inrng mouse mat, not for a real mouse you understand. I didn’t know anyone still used mousemats. If I’m not mistaken- Interestingly, during Obree’s records era, ’93-’94, Brian Cookson was a UCI (track?) Commissaire (since ’86), under Verbruggen. They certainly tried their hardest to disqualify his efforts then. Wasn’t it Hein Verbruggen who disqualified Obree in ’94, by changing the rules only shortly before the race? First they tried to get him on the fact the tip of saddle was slightly further ahead of the bottom bracket than allowed. So the GB mechanic went out and bought a boy’s saddle and sawed off the nose. Then, on the morning of the qualifiers of world championship – an hour before Obree was due to start – the UCI told Obree’s team they had changed the rules the night before and outlawed his handle-bar position some way. I’m not 100% clear on this, nor was Obree, as they could only tell him the new rules verbally in French and Italian – the new rule not having been written down yet! Obree then went out on track. He was disqualified during the ride. The UCI said after because his chest touched his handle-bars. Obree was furious and kept going. At one point a UCI official actually goes on track to stop him and Obree continued, straight at him, in anger! That official was Hein Verbruggen! This is from Obree’s account in his book “The Flying Scotsman”, see page 203 and preceding pages. I can’t see the incident in the video I found on Youtube, but that video isn’t complete (Obree said it happened at about 3 km in, and the video seem online seems to be just the last 2 or 3 laps). From his book, Obree felt regularly hassled by the UCI over rules. As we know now, if only they’d paid as much attention to the doping that was rife back then. Obree is possibly the only top-level athlete I’d find credible from back then, given scientific analyses have suggested he was gaining quite a few tens of Watts over rivals with his unorthodox positions but didn’t dominate by any means, and given Obree lasted about 2 weeks in pro cycling. His main rivals from back then either are proven dopers, or have suffered strange conditions that are strongly associated with hormone abuse. I watched bits of Qatar on youtube, which has highlighted what’s wrong with our sport (why the entire peloton earns less than a second-division football team or some such). The peloton is shown with just one info graphic on the screen – the distance to the finish. Is there a break? After some time it seems there isn’t or they would’ve cut over to it – if they could be bothered to. Could they show an arrow on the screen with the direction/speed of the wind? Football is ‘steeped in tradition’ as well yet there are offside and goal-line overlays. Could they somehow highlight the GC leader Niki Terpstra in the bunch? This is 2015; I’m sure it’s technologically possible. What about the speed at least? Essentially, what I saw is a bunch of guys riding through the desert with approximately two spectators on the roadside and no idea what’s really going on. Sure, more is shown in the European races but there’s still miles to go. Good taste must prevail, no question. Seems to me though that football still looks very much like football, even with 17 cameras around the pitch and an occasional offside-decision CGI overlay. And you can watch it in the pub without audio. It’s inconceivable that during a Barca game the camera would leave the action and fly away to film the Sagrada Familia – yet it happens all the time in the Tour. Just curious, how many hits per day do you get on this site, Mr. Inrng? Perhaps you can write an article about how it’s progressed over the past few years since you first started it. I myself visit everyday even though I don’t comment every time. It’s gotten to be a regular habit, and a brighter part of my day–a form of cyclo-psycho-therapy. Thanks to you and all your blog-ees! It’s one thing to say Contador is saying one thing and doing another but I wouldn’t be surprised to find Tinkoff’s hand in some of the (alleged) bluffing – after all, the Giro Tour double makes for great publicity over the coming weeks whether he actually does it or not. And come to think of it, making public pronouncements which keep your rivals guessing is probably a pretty smart move for a pro cyclist. 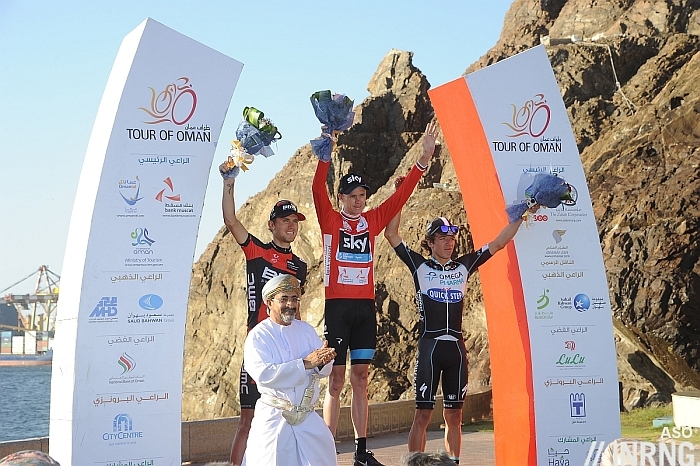 It’s be a shame to see the Tour of Oman disappear from the calendar after this year – I haven’t seen much of the racing over their admittedly, but it makes for some pretty dramatic backdrops and gives us a decent early season view of some of the bigger name climbers.